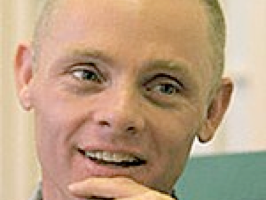 Spiritual teacher Adyashanti describes how reaching a point of crisis can lead to a shift in consciousness, both individually and collectively. With time running out, the pressures mount for Life to take care of itself—to evolve, to awaken and do what needs to be done to survive and flourish. Nothing from the outside - no political system, no environmental movement - nothing imposed on us from the outside will save us. We’re all the same substance - all one - if we don’t realize that, there is no hope. It’s our consciousness that has to change - our perpective. When time is running out it gives more impetus to shift consciousness.